Archbishop Murphy delivers a homily from the pulpit at St. James Cathedral in Seattle, WA. 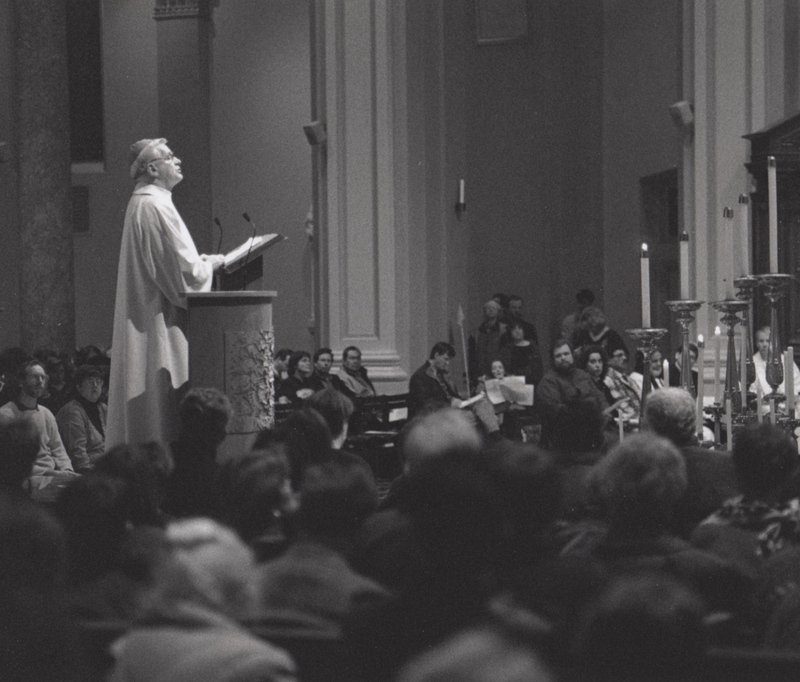 Archbishop Murphy made his public return to ministry on February 10, 1997. He presided at the celebration of Mass at St. James Cathedral to commemorate World Day of Prayer for the Sick. Click here to read the full text of Archbishop Murphy’s homily delivered at the Mass offered for World Day of Prayer for the Sick. Click here to view a video of Archbishop Murphy offering a final reflection at the conclusion of his homily. Click here to read the full text of his prepared address to the media he delivered at a press conference announcing his return to public ministry. Click here to view a video of Archbishop Murphy answering the following question from a reporter: What role did prayer play in your recovery?